When the Surface Pro was refreshed last year we were surprised and disappointed to see that it joined the Surface Laptop in having neither USB Type-C nor Thunderbolt 3. Instead, Microsoft said that it would be shipping a USB Type-C dongle to provide a Type-C port for those who wanted it later in 2017. The dongle did not, in fact, materialize in 2017. But it does exist now, and it will go on sale this Friday for $80. 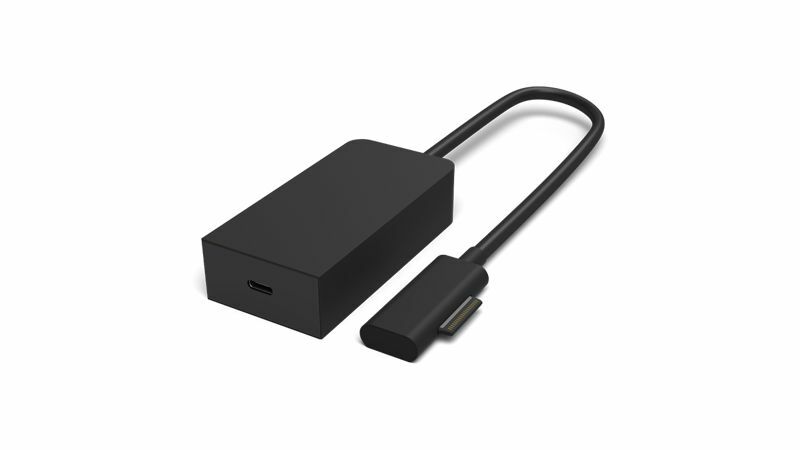 The big, boxy adapter connects to the proprietary Surface Connect port on the current model Surface Pro and Surface Laptop (and only those systems; Microsoft says it's not compatible with any others) and offers a single USB Type-C port. The port can be used with a Type-C charger to charge the computer (provided that the charger can deliver a minimum of 27W at 12V), or it can be used to connect Type-C peripherals to the computer. It supports USB devices, and also supports Type-C Alternate Modes to connect to displays using a Type-C cable.